With the dog days of summer behind us, fall is the perfect time for home maintenance. A few weekends of work before the weather really turns will help you get ready for winter and avoid any nasty surprises – and big repair bills – the cold might bring. Here’s your must-do checklist for fall. Clogged gutters can allow overflowing water to damage walls, spark a rodent infestation and erode your landscaping. Worse, the water can leak through your foundation, causing a flood in your basement. A minor flood could cost $500 to $1,500 to repair, if you catch the problem quickly. If you don’t, there could be mold, damage to the sheet rock and ruined installation to repair as well, pushing the cost up to $10,000 or more. 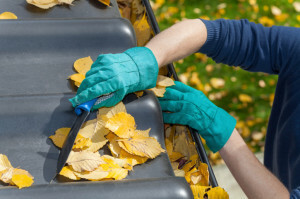 To prevent a problem before it starts, clean and repair your gutters early in the fall. Once cleaned and repaired, consider adding a layer of waterproof mesh over your gutters to keep leaves out. Winter’s harsh weather can rip holes in screen doors or cause the metal to rust. Replacing a damaged screen door in the spring will cost you from $150 for a lightweight model to $225 for a heavy-duty model. To keep your screen doors intact, remove the door, clean the screen and store it in a dry place until spring. Scaling your roof to check for loose or broken shingles may not seem like the ideal Saturday, but if left unattended, small problems in your roofing can lead to major leaks during the winter as rain, hail, sleet and snow pound your home. Professional repairs on a 10-by-10-foot roof cost an average of $630. Save yourself money and make the small repairs now. Burst pipes are a costly problem. A non-urgent call to a plumber can cost up to $250, while an emergency pipe repair can cost up to $600. Repairing the damage from the resulting flood could costs thousands more. In cold climates, you need to winterize your pipes to protect your home. Outdoors, shut the water off to any spigots and drain any remaining water by briefly turning on the spigot. Indoors, locate any exposed pipes that may get cold in the winter. Wrap the pipes in foam or vinyl insulation to prevent freezing. Gaps in your window or door frames let in cold air, causing your heater to work overtime all winter long, but these have an easy fix. Start by running your hand over windows and doors. If you feel a draft, apply weather stripping around the frame to create a tighter feel. Sealing up those leaks can reduce your utilities bills by up to 10%. Your fireplace should be inspected and cleaned once a year, even if you don’t use it much. While a professional may charge up to $350, it is worth the cost. The most minor potential problem is that the lining of the chimney could crack, costing $2,000 to $4,500 to repair. 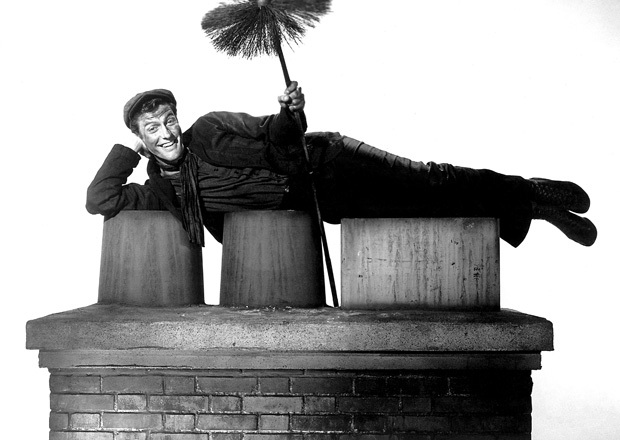 At worst, the chimney could force carbon monoxide into your home or cause a fire. Before the cold sets in, fire up your heater. After your home starts to warm up, walk from room to room. If you notice cold spots, loud screeching sounds or strange smells, you may have a heating problem. If the furnace stops working, repairs could cost $325 to $475. And if you wait until the busy season, technicians may raise their prices.